Facebook’s Realignment: What Are the Initial Results for Advertisers? Will Blockchains Eventually Talk to Each Other? As businesses and investors consider cryptocurrencies, among many questions, one significant consideration stands out: Will they require regulation? If this is an area of interest to you, you could look into a site like be in crypto, to help you keep up to date with all things regarding cryptocurrency and the industry. So if this is something that you are interested in learning more about then you could take a look at something that can let you buy bitcoin, but it’s up to you. Cryptocurrencies are not currently regulated, and neither are the exchanges where they trade, such as Coinbase. The market for new cryptocurrencies continues to grow, as initial coin offerings (ICOs) reached an estimated $6.5 billion in the first quarter of this year. The answer turns around the determination of whether cryptocurrencies are securities, commodities, or another form of investment. At the recent MIT Business of Blockchain conference, a former chairman of the Commodity Futures Trading Commission (CFTC) noted that the answer may very well vary by cryptocurrency. 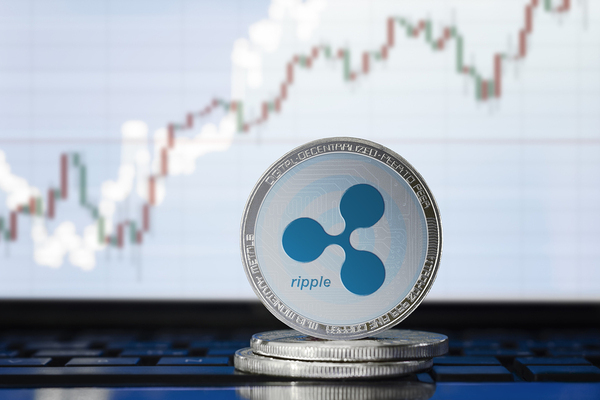 Gary Gensler believes that Ether and Ripple, two of the most widely traded cryptocurrencies, likely fall under the securities rubric. Why? Because Ether and Ripple offer investors ownership in the company underlying the coins. They also, in Genslerâ€™s view, fall under the U.S. Supreme Courtâ€™s decades-old Howey ruling, which has to do with whether a company is managed as a joint enterprise. Moreover, Gensler observed, investors are flocking to cryptocurrency trading hoping for a return â€” the same behavior investors exhibit toward securities like stocks. Securities, under U.S. law, must disclose financial information in publicly available documents and abide by Securities and Exchange Commission (SEC) and other regulations and requirements. ICOs currently do not. Bitcoin, on the other hand, is mined to support blockchain in a platform, and was never subject to an offering. As a result, Bitcoin doesnâ€™t meet the criteria for a security, although The CFTC has ruled it a commodity, according to The Wall Street Journal. As cryptocurrency becomes more mainstream, regulators will likely get involved. The Wall Street Journal recently reported in technology news that Ether should have been classed as a security, for example. Ether, whose market value is estimated at $67 billion, is the worldâ€™s second most popular crypto, after Bitcoin. The argument holds that the actions of Etherâ€™s creators affect their value, just as the actions of corporate heads affect the value of stocks. However, that point is disputed by venture capitalists at Andreessen Horowitz, who backed Ether. Ether is mined, just as Bitcoin is, and they claim that no set of people or entity is responsible for business strategy decisions on the cryptocurrency or for affecting its value. According to the WSJ, a group of regulators, including representations of the SEC and the CFTC, will be meeting in early May to at least begin a discussion of whether regulation is appropriate, and what regulation would apply to which currency. It is possible that ICOs of some cryptocurrencies could be deemed noncompliant with U.S. security law. The eventual decisions could exert a huge effect on the cryptocurrency markets. Coinbase and other exchanges may have to become regulated, much like the stock exchanges and existing commodity markets in the U.S. are. Primary reasons for concerns are, of course, that the lack of regulation makes cryptocurrencies apt to be used for black market purposes, and that unregulated securities could harm unwary investors. Participants at the MIT conference observed that up to 25% of activity in cryptocurrencies could be fraudulent or scam-related. One way or the other, the recent conferences and meetings point to the eventual involvement of regulators in the cryptocurrency markets, although the shape remains to be seen.